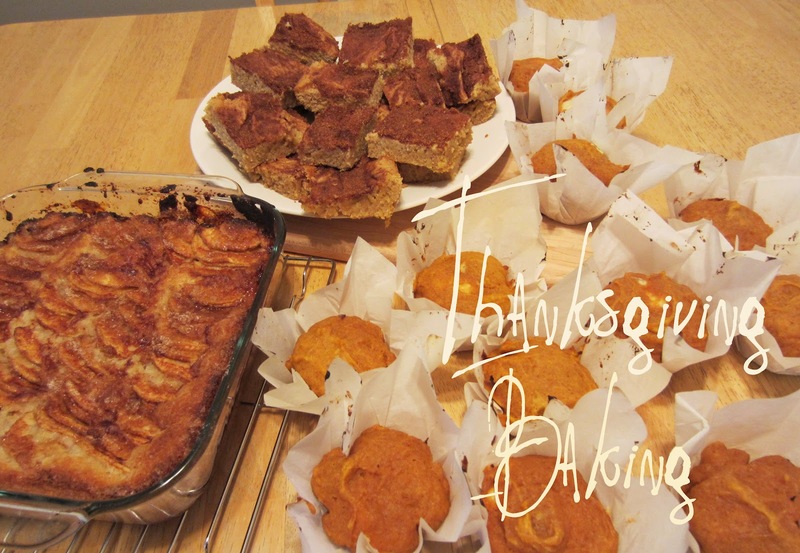 It has been a productive morning/afternoon so far with a good portion of the day spent in the kitchen baking away some goodies for Thanksgiving. I'm just so excited to host Jonathan's family for the long weekend that I may be going over board with baking but at least we won't go hungry right. Among the other items in my freezer, today I'll be adding a fresh German Apple Cake which I found from my collection a recipe books. Then there's some incredibly delicious Snickedoodle Blondies which I found on Pinterest. And finally my favorite, Pumpkin Cream Cheese Muffins, which I changed up a bit from a past post where I made it in a load form. Over all it was an incredibly productive day. But now I have to pack away these goodies and freeze them so I can pull them out this weekend and encourage everyone to gain an extra pound or two. Looks yummy! I'm not Canadian, so our Thanksgiving isn't for a while, but my husband is from Canada so we celebrate Thanksgiving twice in our family. I'm really excited for this weekend. Hope yours is great! Your baking always looks incredible!